Katarina Popović and Carlos Vargas Tamez opened up the discussion. “We must think big again and re-vision education in a changing world,” writes Irina Bokova, Director General of UNESCO, in the publication “Rethinking Education: towards a global common good?” Education stakeholders from across Europe gathered to discuss how education could be re-imagined in the 21st century. “We are at crossroads,” said Katarina Popović (ICAE) explaining the rationale behind the publication. Together with Carlos Vargas Tamez from UNESCO she set the context of the document by referencing the Millennium Development Goals and Education for All Goals, which have now come to an end. Mr. Vargas Tamez discussed the concept of education as a public good. “There has been a massive growth in the demand for education, which increases the pressure on public finances,” he said, adding that it often leads to outsourcing the responsibility for education to the private market. Some panelists described privatisation of education as one of the largest risks that education is now facing. “We refuse to accept that education can be considered an expense – it’s an investment,” said David Lopez from the Lifelong Learning Platform, emphasizing that education should be considered a common good, not a service. Mr. Vargas Tamez pointed out that seeing education as a common good also means that the responsibility for it is now shared between different actors. With the boundaries between the sectors becoming increasingly blurred, a number of additional questions arise. “Should policies governing education be global or local? If we see education as a public good, does it mean that it is publicly funded or publicly regulated?” he asked. Civil society: a critical friend? The Sustainable Development Goals, adopted in 2015, are a timely reaction to the mounting challenges. Mr. Vargas Tamez highlighted their “more ambitious agenda”, which calls for gender equality and inclusion of marginalized groups, “leaving no one behind”. He added that identifying the disadvantaged groups and reaching out to them is as necessary as it is difficult, considering the prevalence of the “Matthew effect”: mainly those who are already educated tend to continue learning. 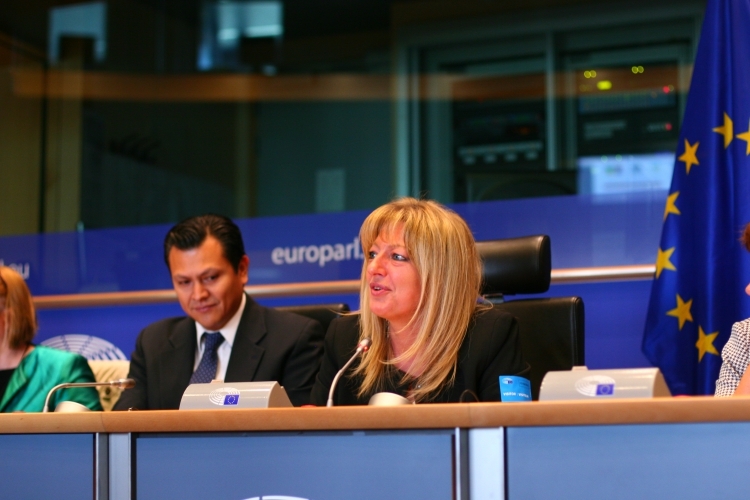 EAEA Secretary General Gina Ebner with Carlos Vargas Tamez and Katarina Popović. Joke van der Leeuw-Roord from the European Association for History Educators said that there should be stronger partnerships between governments and civil society, adding that the responsibility for education lies no longer with the state, but “society as a whole”.. The cooperation between the state and civil society was also extensively discussed by participants of three parallel workshops that followed. Different models of structured dialogue were debated, with some participants wondering whether the model of working groups at the European Commission could be replicated at the national, or even at the local level. At the same time, some stakeholders pointed out Europe is still largely fragmented. While some European countries enjoy a long-standing relationship between the government and civil society, with the latter seen as “a critical friend,” establishing any form of structured dialogue is impossible in the countries where civil society is still treated with mistrust. The panelists appreciated the attention that the document pays to learning environments. “The learning environment too often turns out to be a barrier,” said Allan Pall from the European Youth Forum, calling for more focus on accommodating the needs of disabled students. 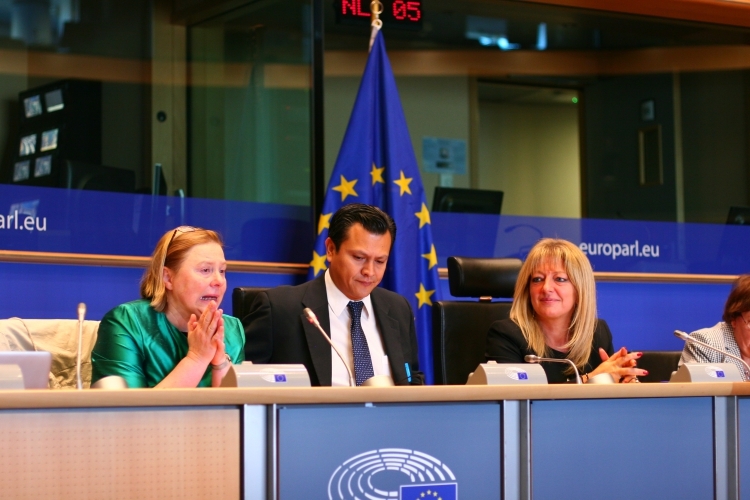 Sirpa Pietikäinen, Member of the European Parliament who hosted the event, highlighted that learning environments go beyond formal education, of which the document rightly takes notice. The panelists appreciated the attention the document pays to learning environments. The role of teachers and educators themselves should not go unnoticed. As the document recalls “the essential role that educators play in ensuring learning throughout life and beyond formal education systems”, more attention needs to be paid to their professionalization. Ms. Leeuw-Roord pointed out that the key role of practitioners is frequently overlooked. “In many meetings about education experts talk about, but not with educators,” she highlighted. The participants of the workshops raised the issue of precarious working conditions among teachers and educators, also discussed in the document. “Quality in education is something that we need to rethink,” said Mr. Pall. Rigid systems, difficulty in recognizing non-formal learning and standardized testing leave behind learners who do not conform to the “one size fits all” standard, which is why the European Youth Forum calls for measuring learning outcomes and emphasizing the social dimension of learning. The speakers praised the comprehensive scope of the document and its humanistic approach to education. Speaking at the closing panel, Pavel Trantina (the European Economic and Social Committee) noted that the focus of the publication is much different than that of another paper bearing the same title, adopted by the European Commission in 2012. The document, and the outcome initiative of the Commission was largely concentrated on skills, particularly those related to employment, in line with the competences of the European institutions. While Mr Trantina agreed with the speakers and the audience about the need for enabling learning environments and more involvement of teachers and educators, he also pointed out that we cannot expect the paradigm of education to change drastically. “It will be more an evolution than a revolution,” he said. The European Consultation on Rethinking Education: towards a global common good? a joint event of UNESCO, ICAE and EAEA, brought together representatives of European institutions, international organisations, ministries, civil society and adult education providers. 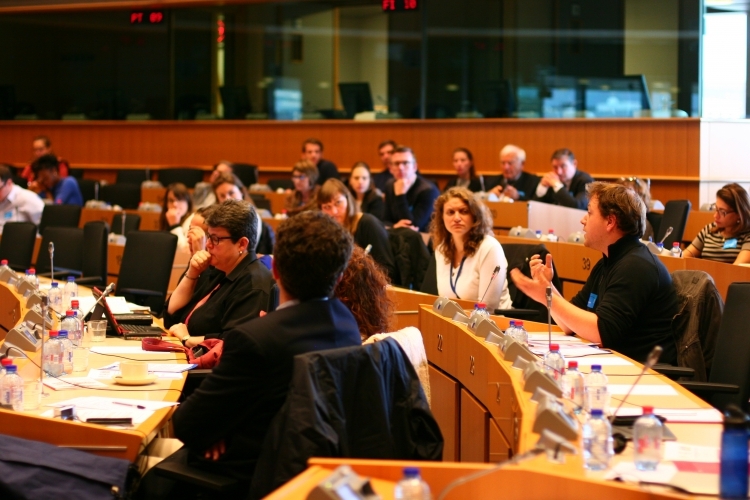 The event was organized in October in Brussels and included a panel discussion in the European Parliament, as well as a series of workshops.